I have vivid recollection of walking between the aisles of wines in the local liquor store in the small town where I went to university and completely ignoring them on the way to buy whiskey. Or gin. Or Southern Comfort. Or whatever spirit had piqued my interest. What I loved about booze was that it wasn’t beer. I never really liked fizzy drinks of any kind and beer wasn’t for me. It was also a little too monochromatic for my liking and the world of spirits offered a huge diversity of flavours that I found thrilling. Sweet drinks like White Russians (just like The Dude) progressed to Whisky Sours, and Alabama Slammers which lead to gin & tonics which ended up at CC or Jack on the rocks and then finally Scotches neat. I had a few friends who used to drink wine but I didn’t see the appeal. And then I met a girl. She came from a family that drank wine with dinner most every night. When we had special dinners together, she would bring a bottle of wine. (She had to bring the wine glass too, if I remember, because heathen that I was, I didn’t have any.) Aside from making the meal appear a little more classy, she explained to me how wine cleanses the palate and can could enhance the flavour of food. The palate cleansing concept was the first part that I related to the most. I always loved how the first 1 or 2 bites of food tasted, especially if it was something that I really loved. But a few bites into the meal though, it would lose something. It was still good but it didn’t have that same blast of flavour that I’d had. Wine gave me the excitement of that first bite back again after every bite. Taking sips of wine every few bites refreshed and cleansed my palate making the food’s flavour exciting again as if I were back taking the first bite. Beer or booze couldn’t do that and I was intrigued. It was my first entree into the wine world and it had me hooked. But then I went shopping for wine. What the heck was all that stuff on the label? **$20** for a bottle of wine?? No way! Who would ever pay that much for a bottle that would last one meal? A bottle of whisky wasn’t cheap either but I could get at least a couple of semesters out of a 26 of CC, especially if it was just one in a small collection of bottles. I couldn’t wrap my head around paying anything more than $10 for a bottle of wine. What is it about wine that makes it worth that much to some people? So I bought what didn’t look too weird. I knew enough that bottles with French labels were going to be more authentic than ones with penguins on them. Of course, the more dinners we had, the more I learned about what wines I liked and what I didn’t like. I quickly learned that some wines tasted great with some foods but not others. White wines tasted weird and got lost amongst our spaghetti dinners. Steak and red wine developed a close relationship almost imediately. My girlfriend’s father made wine from kits and that inspired us to have a go at it ourselves. We bought a carboy, and starter kit and turned her kitchen into our winery and her bedroom room into the cellar. It was… educational. We enjoyed it but it never seemed finished somehow. It lacked the polish and lustre that ‘real’ wines had. It was different somehow although at the time I couldn’t have put into words what it was that made it so. Whatever it was, it started the ball rolling for me and the world of wine seemed open and ready to explore. After moving to BC, the wine culture was almost impossible to miss. 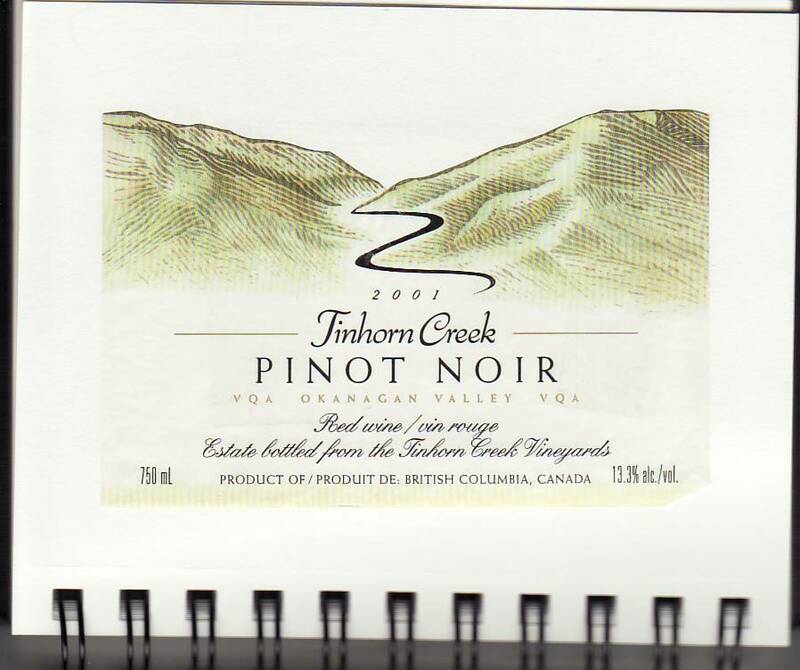 The local wine stores had large sections of BC wines and there were even whole stores that sold nothing but BC wines – still a shocking concept to visitors from other markets. It was immersive and I loved it. I started buying books and learning about wine as much as I could. But sometimes reading about vines and wine wasn’t enough – I wanted to get my hands dirty. In 2005 I volunteered to work at Township 7 Vineyards in Langley planting grape vines in the spring and harvesting in ’05 and ’06. I loved the experiences, the people that I met, and the memories of working with the grapes and vines. It was my first experience walking into the wine shop with a winery owner who said, “Thanks for helping. Why don’t you pick out six bottles of your choice.” I really must thank Gwen and Corey Coleman, the original owners of Township 7 Vineyards in Langley, who were my first and warmest welcome into the wine industry in BC. From that point 9 years ago until now, it’s been a wild ride of learning, tasting, talking, drinking, working, more tasting, and selling wines while meeting some of the greatest people around. Those experiences aren’t really that different from what I would have had if I hadn’t joined the wine industry. They are possible to get elsewhere in organizations like the BC Wine Appreciation Society, attending Wine Festival tastings, private tastings, or visiting wineries frequently. They are available to anyone who is interested in wine. I find that the more experiences I have with wine, the more comfortable the knowledge becomes. I’ve also found that the more I think I know, the more I find that I don’t really know anything at all. Wine should be an experience. I’m thankful for those that have allowed me to share in those experiences and I enjoy sharing those experiences with others – one of the reasons that I started this website and podcast. Have fun finding experiences with BC wine!